The sister of murdered Jo Cox has warned that the level of abuse aimed at politicians is now worse than when the MP was killed during the Brexit campaign. Jeremy Corbyn has been accused of “defending a dictator” over his stance on Venezuela, by the widower of murdered Labour MP Jo Cox. 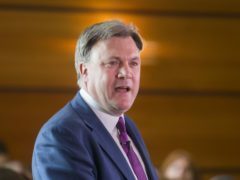 Ed Balls has spoken about a tribute he paid to murdered MP Jo Cox during the filming of his new TV show, saying he and politician wife Yvette Cooper could have been the victims of a similar attack. Glencoe ski area has marked the longest day of the year with a burst of mid-summer winter sports. A “vile and evil” north-east fisherman has been fined after threatening to kill his MSP. Last week I poked gentle fun at a Labour Peer for suggesting, mostly in jest, that some Nationalists might take umbrage at Alex Salmond’s friendship with a senior Tory politician. The widower of murdered MP Jo Cox will meet with Scotland's First Minister Nicola Sturgeon and representatives of all the main parties during a visit to Holyrood later today. Neo-Nazi Thomas Mair, who gunned down Labour MP Jo Cox while shouting “Britain first”, has been found guilty of her murder. Three north MPs are thought to be among dozens of politicians targeted by a chilling death threat. A white and red rose were placed on the Commons seat of murdered MP Jo Cox yesterday, which was left empty as colleagues from all sides of the House paid tribute to her and what she stood for. Gordon MP Alex Salmond has spoken of the importance of European solidarity in light of the killing of Labour MP Jo Cox. Harrowing details have emerged on the brutal slaying of MP Jo Cox, following the revelation that her alleged killer gave his name as "Death to traitors, freedom for Britain” during his first court appearance. The man charged with the murder of Labour MP Jo Cox gave his name as “Death to traitors, freedom for Britain” during his first court appearance. American president Barack Obama told the husband of tragic MP Jo Cox that the world is a better place "because of her selfless service to others". A Labour MP has died after being shot and stabbed in the street outside her constituency advice surgery. Communities in the north and north-east of Scotland have joined with others around the UK in paying their respects to murdered Labour MP Jo Cox. Labour MP Jo Cox has died after being shot and stabbed by an attacker on a West Yorkshire street.